Coffee grounds are an excellent addition to your compost heap. During the brewing process, coffee grounds impart their acids to the coffee, giving it its characteristic bitter taste. Afterwards they become nearly pH neutral (usually 6.5-6.8). When using biodegradable filters made from natural fibers like paper or cotton, there’s no mess, just leave the grounds in the filter and throw it all into your compost bucket or pile. The high nitrogen content of the grounds benefits the soil. The advantage of using a food source from your own kitchen ensures you know the source of your nitrogen amendment and that it’s completely safe (and ideally organic). You won’t have any of the worries that accompany using animal manure, such as what that animal ingested or whether it comes with pathogens. There are two primary means of utilizing coffee grounds as compost. In both cases, the grounds must be given a chance to rest since they initially have an approximate 20:1 ratio of carbon to nitrogen. Grounds can be saved in buckets or other air tight containers until needed and the mold that’s produced will die off when exposed to dry air or the heat of a compost pile. The first way is to add it as a soil amendment directly, spreading them on the ground and covering them with a light mulch. This is especially popular in the fall and winter after harvest, in order to allow the coffee to seep into the soil. It can also be done in the early spring, two or three weeks before planting. In a regular compost pile, grounds can be added, filter and all, to an unturned pile at up to 25% of the pile’s total volume. Grounds, because of their easily released nitrogen content, will cause the bacterial reactions in the compost that create heat and beneficial gasses. At a 1:4 ratio, the heap will warm up considerably and maintain a 135 (or more) core for a relatively long period. This will kill most of the weed seeds, grubs, and pathogens that may be lurking in the compost. Otherwise, treat your compost normally. Turn it about once a week or so and mix in your coffee with at least three times as much carbon material (grass, leaves, etc.) with each addition. For vermicomposting, add as above. Be sure to include at least an equal or one-and-a-half times vegetable matter to go with the grounds. Worms love coffee, maybe for similar reasons as humans. Related to the cocoa bean, coffee contains many of the same feel-good nutrients, most of which remain in the grounds even after brewing your morning beverage. 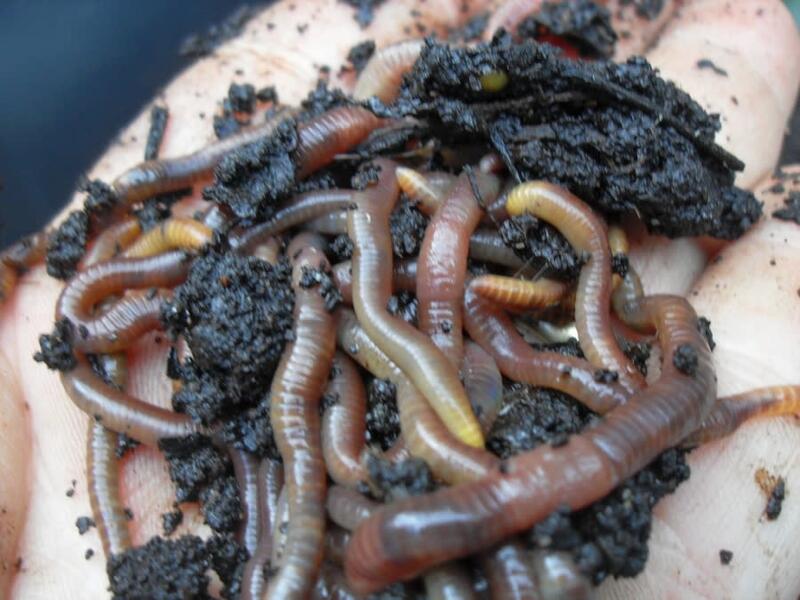 It’s possible your worms are addicted to caffeine too, especially the night crew.